Healing Spaces – Loves Life! I find the concept of Healing Spaces and the impact on the mind, body and emotions fascinating. Esther Sternberg found that hospital patients with a view of nature healed faster than those without. In her book “Healing Spaces” she explores the neurobiology of the senses and that different environments have the capacity to trigger or reduce stress. She reveals how the senses, emotions and immune system are interconnected. 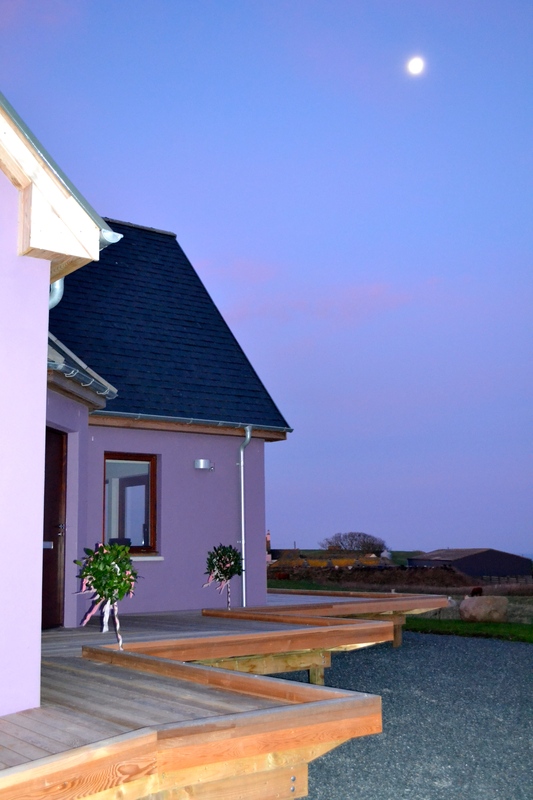 I was aware of this when designing Dundream eco holistic retreat and my aim was to create a space that would stimulate well being , relaxation, balance and harmony and that guests would leave refreshed after their stay. I have also always been interested in colour and how it affects our mood and senses and like to experiment with colour. I found it fascinating choosing different colours for Dundream according to the orientation of the house and specific use of the room. 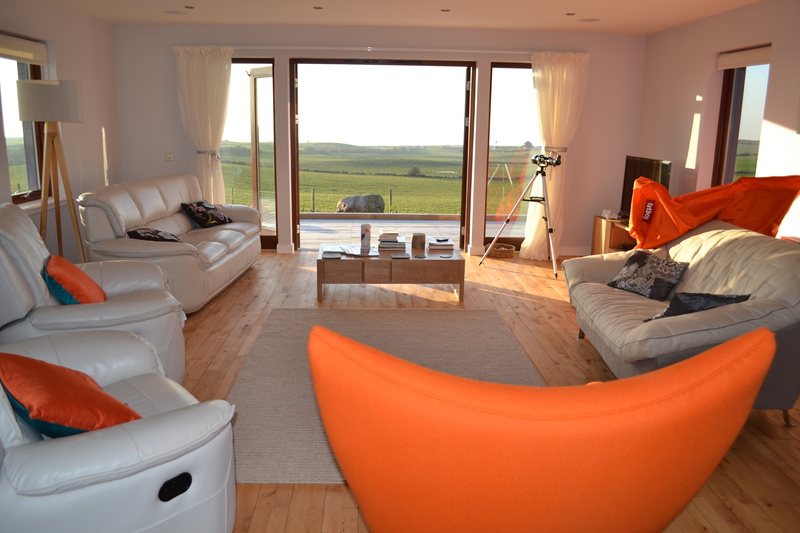 Orange according to the Feng Shui Society is a warm, joyous, uplifting colour. 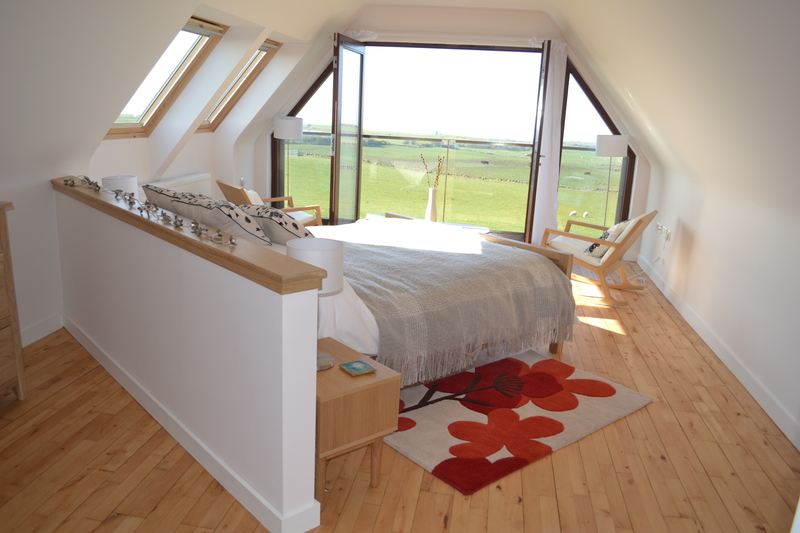 The Mull of Kintyre bedroom with angled bed positioned according to Feng Shui principles to maximise views of the land and sea. The large velux roof windows to capture the dark skies, moon and twinkling stars. Dundream is painted calming mellow heather to blend in against the purple heather clad Glenapp hills. I had no qualms about painting Dundream this colour but my painters had some reservations! Purple is spiritual, creative and intuitive. The Japanese Garden was created according to the Bagua Map with the colour of plants and trees chosen according to the area on the map and its symbolism. The garden is filled with gravel and pebbles, has a circular path, wooden driftwood shapes and seats, metal ornaments, a bird bath, fairy lights, clay flower pots and wind chimes. Guests enjoy some quiet contemplation here. It is in ourselves, our memories and thoughts that we find our healing space. The smell of the sea,hearing newborn lambs bleating, views of the sea, fiery sunsets, early dawn chorus can affect this process but the most powerful of healing spaces is in the mind.